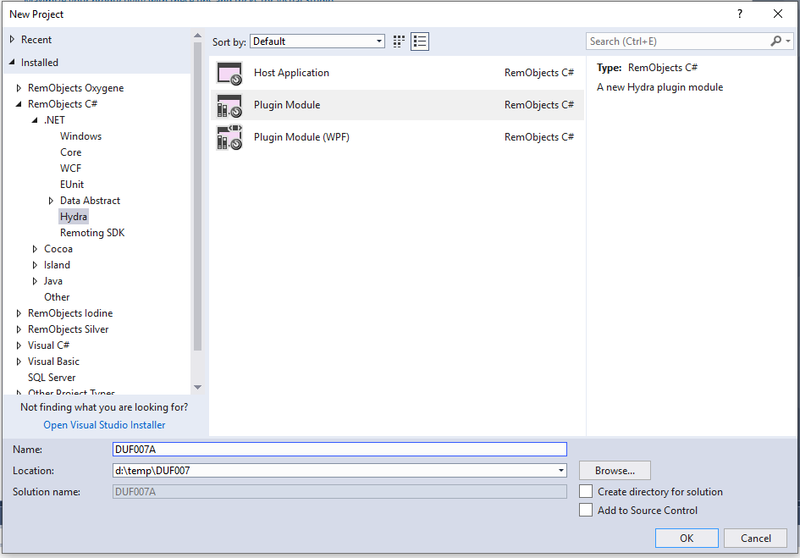 Oxygene Elements / Hydra "Operation could not be completed"
After migrating all my existing projects to a new windows 10 development VM, visual studio 2017, current Elements (10.0.0.2385) and Hydra (6.1.95.1207), I come to start a new project and find that I’m having a very basic problem starting a project. At this point, after clicking OK, I cannot exit visual studio without getting the same error - I have to kill the process. I can save the individual changed source files, but a “save all” generates the error, as does trying to exit even after all changes have been individually saved. It’s also worth saying again that doing the above using “Visual C#” as the starting point does not have any issues. I apologize for this. I’m not sure right now if this is an issue on the Hydra side or in Oxygene, it I will make sure someone from both teams will have a look at what’s going on here, first thing in the morning. Thanks Marc, appreciate it. I’m around all day if you need any input. 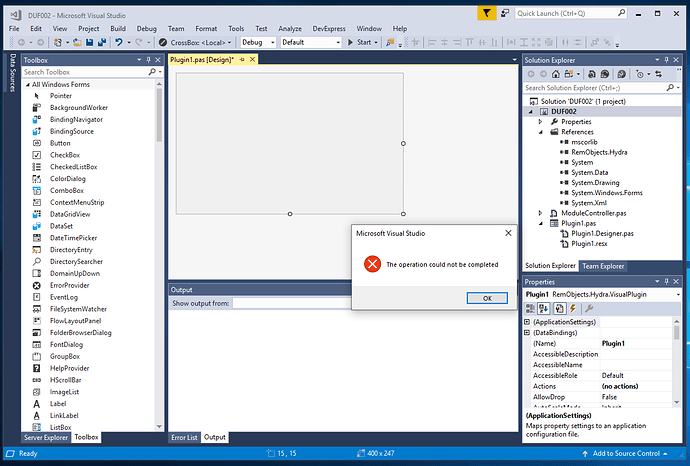 I should also add that the same error is generated if you start with an empty project, add a module controller and then add a hydra visual plugin. Again, sizing the plugin and trying “save all” causes the issue. bugs://82224 got closed with status fixed. Thanks. I see the bug logging / fixing above, can you elaborate and as it’s Friday, will there be a preview build coming out later today with that fix included ? There’ll be a new Preview build for the Elements side. I believe there were also one fixe don the Hydra side, I’ll check with the team wha the plan/timeline is there. Thanks Marc. I’m keeping busy with other things for now, but I’ll apply the previews when they surface.